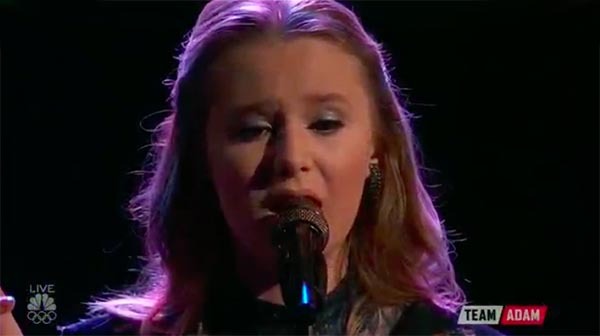 Addison Agen from Team Adam sings ‘A Case of You’ on The Voice Season 13 Top 11 Live Shows on Monday, November 27, 2017. “You are beyond great, you are gifted. I’m jealous of Adam. You have to vote for this girl,” said Jennifer Hudson. “The audience at the end of the performance was subdued. You moved me, you inspire me and you inspire everyone when you sing. You are my favorite voices.” said Adam Levine. What can you say about Addison Agen’s performance? Share comments below.